There’s an air of calm around Goodison Park as we enter September. Yes, we’re rubbish. And yes, we’re technically bankrupt, unable to resist bids for our players, unable to replace them if they leave. And yes, fine, we lost the first two games of the season, including a galling defeat at home to our neighbours from the other side of Stanley Park. But when you…erm…I forget my original point. Ah, yes. We won a game. Kevin Keegan’s Manchester City were no match for our dogged defending and tendency to fall back into our own half as soon as we take the lead. This is not a hopeless struggle. We’ve got hardly any pace and a squad thinner than Peter Crouch’s legs, but we’ve got a bit of fight. Our first challenge of the month is Gordon Strachan’s Southampton, and they might just be more rubbish than us. They’ve only played two teams so far, Fulham and West Bromwich Albion, and they lost to both of them. Like Keegan’s Manchester City, they’re 4-4-2 and they like to come out and push Matt Oakley or Jo Tessem up, so it’s a toss-up between maintaining the same structure that beat City, or shifting to the 4-4-2 that Fulham and WBA used to beat them. It seems unwise to change a winning side and so I hold my nerve. And with good reason. 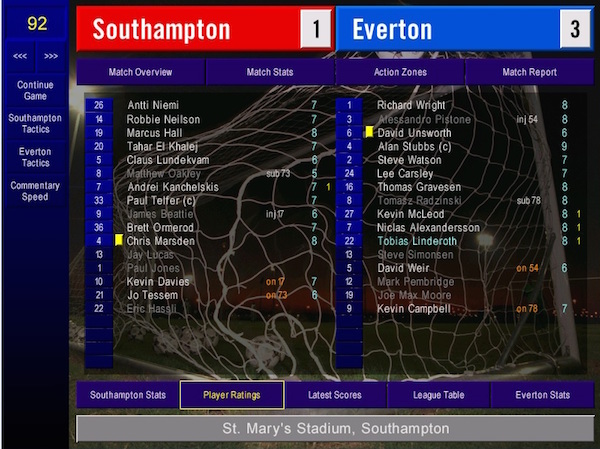 Niclas Alexandersson opens the scoring from one flank, Kevin McLeod responds quickly to Andrei Kanchelskis’ equaliser by scoring from the other flank and as half time approaches, Tobias Linderoth adds a third. There’s no point in messing around here. 4-3-3 becomes 4-5-1 and the second half is slammed shut. The only negative is an injury to Alessandro Pistone, but it’s just a knock and he’ll be fine soon. Two wins from four games is as good a start as we could have hoped for. Elsewhere, Howard Wilkinson’s Sunderland lead the way with a 100% record at the top while Glenn Roeder’s West Ham sit at the bottom with a rather less cheerful 0% record. But let’s not get over-excited. Up next are Leeds United, cash-rich, packed with stars and managed by Terry Venables. They don’t have weak spots, just quality on top of quality. Even with home advantage, I’m not taking any chances. It’s a defensive 4-5-1 formation and we’ll just try to hit them on the break. 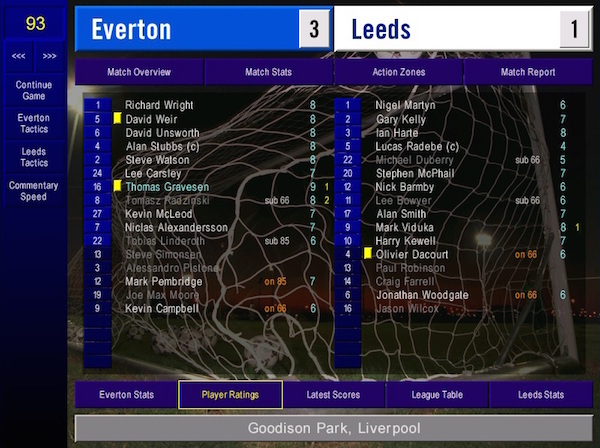 We start brightly, but it’s not long before Mark Viduka opens the scoring with a powerful header. I told Alan Stubbs to mark him, but Viduka has a strength of 20, a jumping of 18 and a heading of 16. The only way to truly take him out of the game is with a tranquilliser dart. Or a pie full of sleeping pills. But midway through the half and very much against the run of play, we equalise through Tomas Radzinski. And then on the stroke of half-time, we win a dodgy penalty and my new favourite Canadian scores again. Leeds pile on the pressure, but as the clock runs down Thomas Gravesen smashes home a free-kick. We’ve won. We probably didn’t deserve to win, but we’ve won. This sort of thing never happens to me. And the good news just keeps on coming. Joseph Yobo and Duncan Ferguson are back in training and should be available by October. In a world where we haven’t got enough money to buy teabags, the return of those two is a massive boost. Surprise package Sunderland are up next. I was worried about them. Who wouldn’t be? Sgt Wilko has made a flying start to the season, but they lost their first game while we were beating Leeds and I think they could be taken. I was going to stick with another defensive formation, given the form of Matthew Piper, but there’s blood in the water and we won’t get anywhere being cautious. We didn’t get anywhere being brave either. Some defeats can be attributed to bad luck or bad refereeing, but we got done here because Sunderland are an excellent football team and we’re not. This could have been much worse and the late consolation goal gives us credit we barely deserve. Wilkinson has built on the excellent work of Peter Reid and the Black Cats have a hell of a squad at their disposal. We can only aspire to be more like Sunderland. To make matters worse, we lost Steve Watson to injury for two weeks. Some respite arrives in the form of the League Cup and a home tie against Port Vale. The mission here is to win silverware, so there will be no talk of resting players. Even if that wasn’t the mission, Everton are not playing European football and have not started so badly that it’s all hands to the pumps in the league. We’ll give this competition everything we’ve got. Besides, Everton have got an incredible record for bombing out of the cups to lower league opposition, so let’s not tempt fate. It’s not a comfortable win, but we’ll live with that. We dominate possession and rattle in shot after shot, but Mark Goodlad puts in an incredible display. He’s immediately shortlisted on the off chance that we ever have any money to spend. The victory lifts the confidence of the players back up off the floor after their tonking at the hands of Sunderland and it also reminds me how important Thomas Gravesen and Lee Carsley are to the cause. Whatever happens with the finances, even if someone comes in and drops £100m in the transfer kitty, those two will be the last to be replaced. 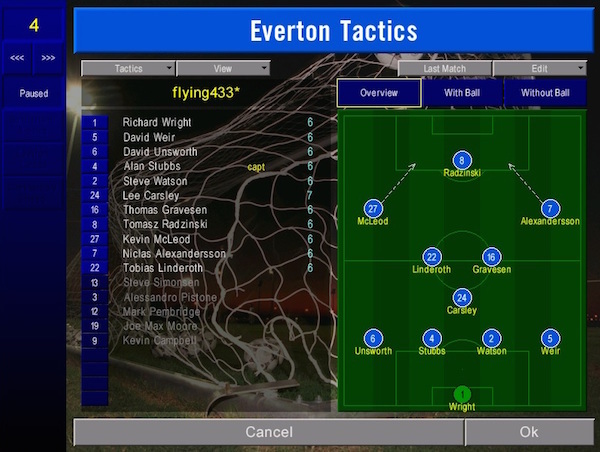 But we shouldn’t forget the impact that Richard Wright has made on this team. He’s covering up for a number of shortcomings this season and it’s wonderful that Sven Goran Eriksson has noticed his form and recalled him to the England squad. If you’ve got a good goalkeeper, it makes all the difference. Confidence spreads out around the team, defenders play without anxiety, you don’t instinctively flinch whenever anyone has a shot. Tottenham are a very strange team. 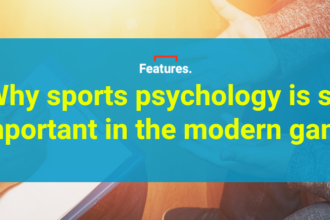 They play with a back five and a midfield pairing, but then they have Robbie Keane and Teddy Sheringham as asymmetrical attacking midfielders behind Sergei Rebrov. 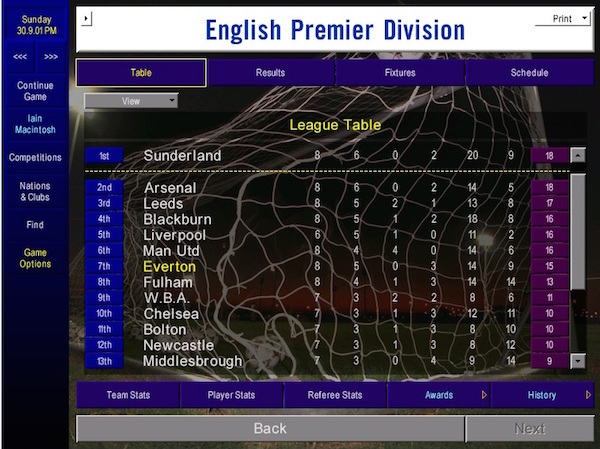 It’s brought mixed results in the league and I’m not entirely sure how to combat it. 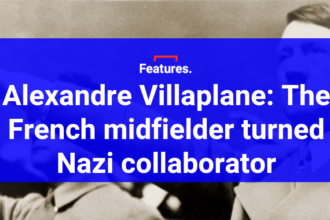 I elect to keep the same shape, but with widespread man-to-man marking, minimal attacking movement and a switch to direct, counter-attacking football. We’ll lure them in and then pounce on the break. It’s a very dangerous game, but we get away with it. Spurs have all the possession and no small number of clear cut chances. Fortunately, Richard Wright is buoyed by his England call-up and plays so well that Paul Robinson’s apparently unchallenged position as England’s number one suddenly looks vulnerable. 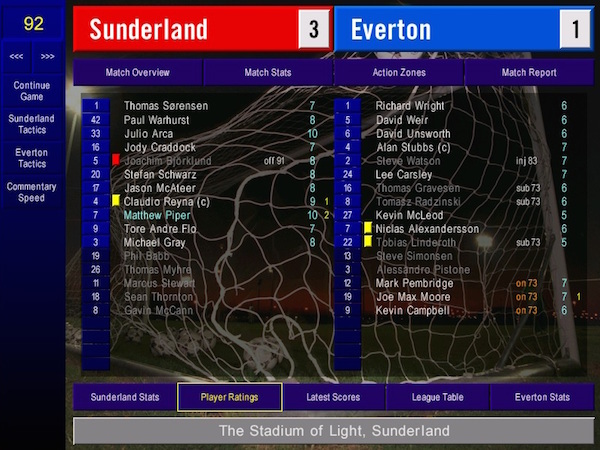 The set-piece strength of David Unsworth and a rare assist from Niclas Alexandersson leads to two early goals and a frantic rearguard action. Essentially, we’re punching people in the face and running away. And it’s working. There’s very little pressure when you play Tottenham, Leeds or Sunderland because they’re so strong that any points are bonus points. But when it comes to a team like Birmingham, that’s when the pressure builds. Steve Bruce’s side are terrible. He uses a 5-3-2 with a trequartista, but he puts his players in strange, unfamiliar positions and rotates them during the game. Even away from home, this is a fixture that is sitting up and begging to be won. Again, there seems very little point in changing line-up or structure. The only thing that is changed is the instruction to sit deep. Today, we attack. After a season of making opposition goalkeepers look good, we’re indebted to Nico Vaesen for his ineptitude. Something is off from the start. We’re not making chances, we’re not making runs, we’re tepid everywhere. So are Birmingham, but we expected that. Then Vaesen sends a goal kick to Lee Carsley and ‘goes walkabout’, allowing our shiny-headed destroyer to open the scoring. 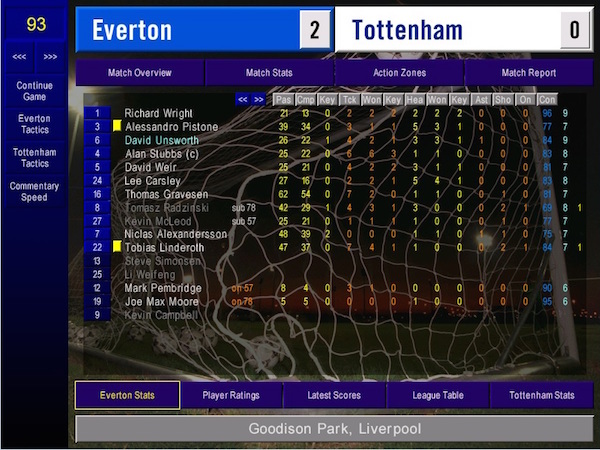 We lose Tomas Radzinski to injury before half-time, but Kevin Campbell heads home to double the lead. And then, naturally, we shut the game down and fall back to claim our prize. Four wins from five in September still, somehow, isn’t enough to secure me the Manager of the Month Award, but it’s not about personal trinkets. We’ve picked up more points in the first eight games of the season than I could ever have hoped. 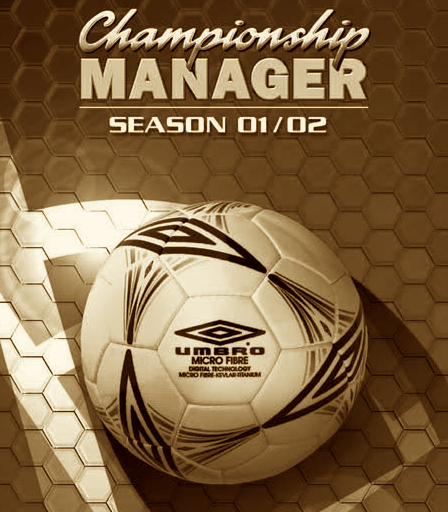 The aim is still simply to avoid relegation, to maintain a holding pattern, and to pray that someone comes in and sorts out the finances. 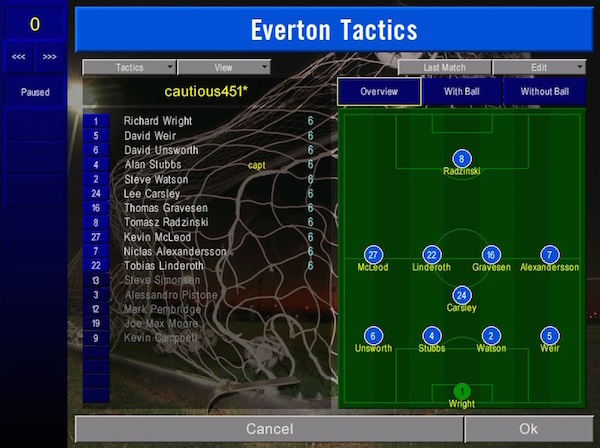 If I had money, I could make Everton challengers. It’s frustrating to see Mark Kerr sign for Hibs, to see Ryan Williams in spectacular form for Hull, to know that Cherno Samba lies dormant in the Millwall reserve team. But there’s nothing I can do. We just need to make the best of this.